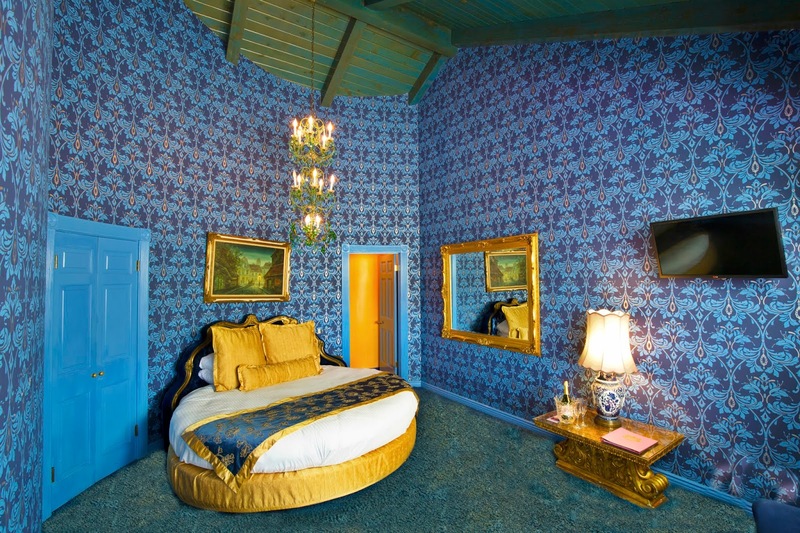 Last weekend's stunning lunar eclipse inspired me to create a guide to finding the perfect Madonna Inn room based on your zodiac sign. 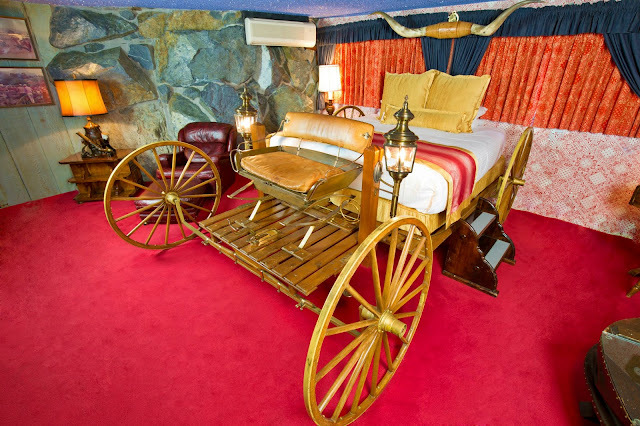 Scroll through to find your celestial match! View our full list of individually-themed guest rooms here! 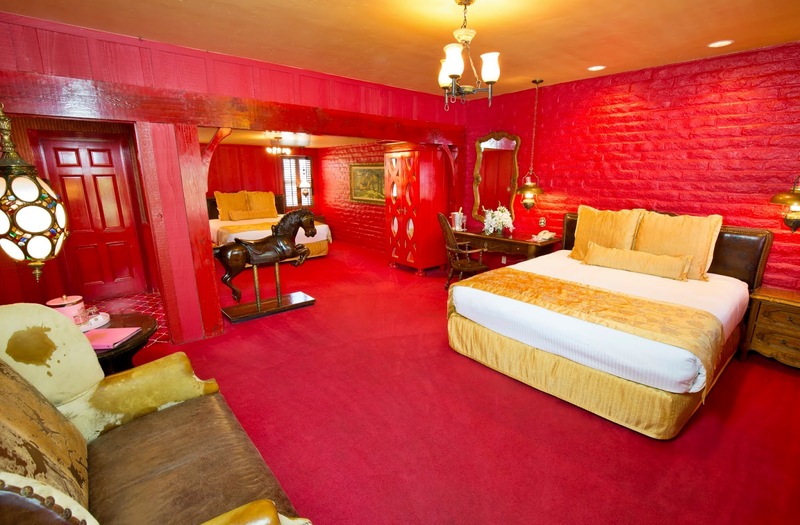 Five Common Madonna Inn Questions - Answered! 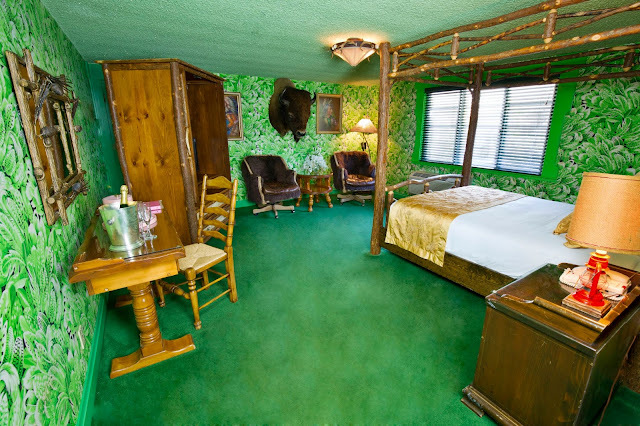 While there are many questions about the wild and wonderful world of Madonna Inn, these are just a few of the most common ones we hear. Do you agree with these answers? Let us know in the comments below! 1. Why is everything pink? Mr. and Mrs. Madonna co-created the Madonna Inn with fantasy in mind; they wanted guests to feel both comfortable and wowed from the moment they walked through the door. 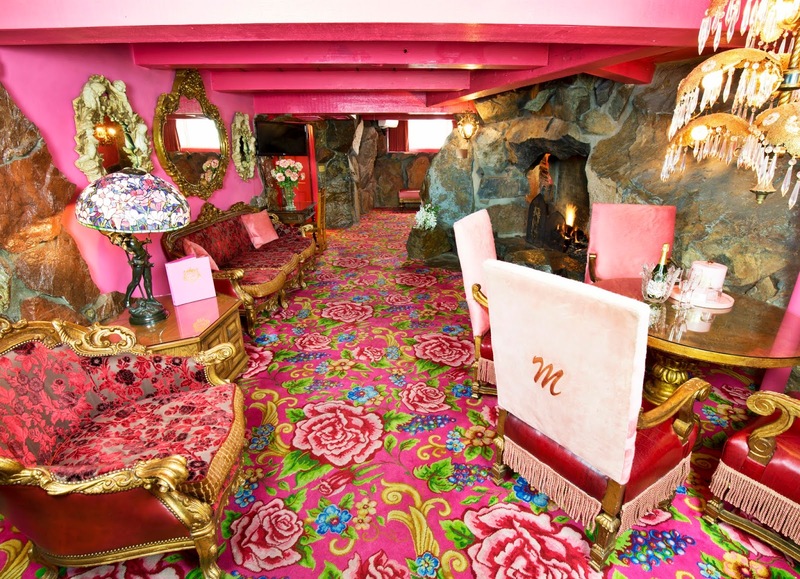 So, pink was chosen as a staple of the property because the two felt it was a fun and uplifting color. Mr. Madonna also thought that Mrs. Madonna looked her most beautiful in shades of pink! 2. Why is every room different? Mr. Madonna was known by many for his quick wit and sense of humor. 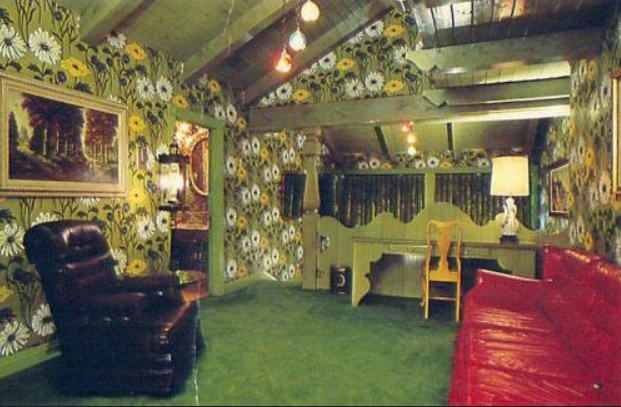 When asked why no two rooms looked alike, he artfully replied that if every room was different, he could never make the same mistake twice. 3. Are Mr. and Mrs. Madonna still alive? Mr. Madonna passed in 2004. 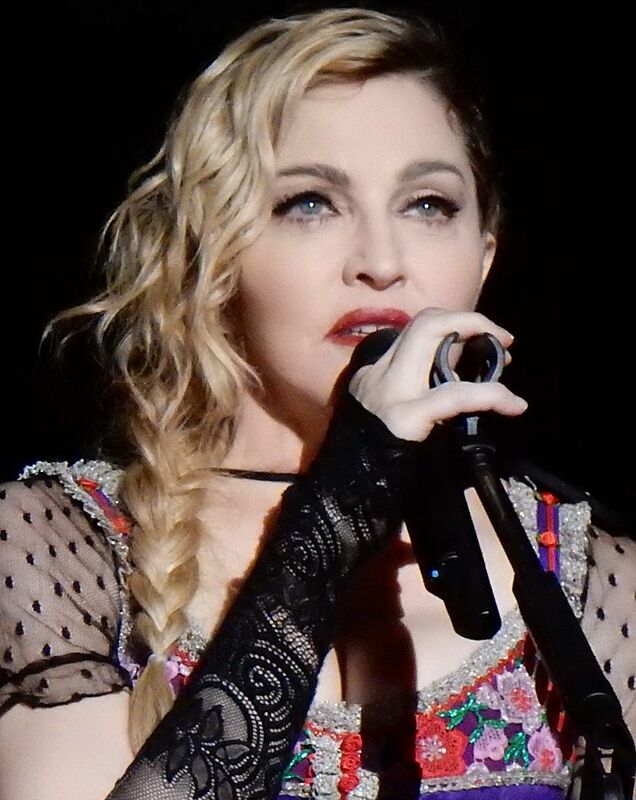 Mrs. Madonna, however, is still very much alive and well! 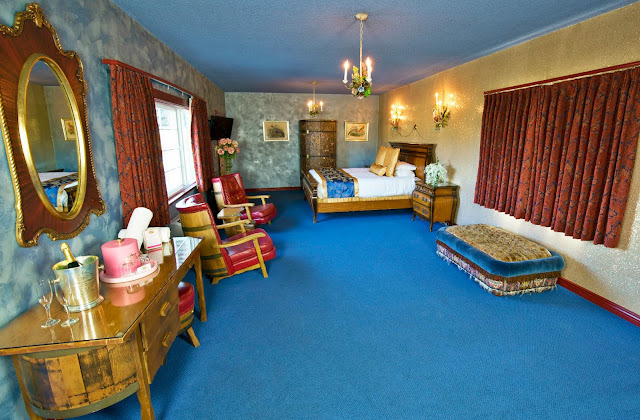 She recently turned 90 and loves singing and playing the accordion, spending time with her dog, Flower, and having breakfast or lunch at the Inn daily. 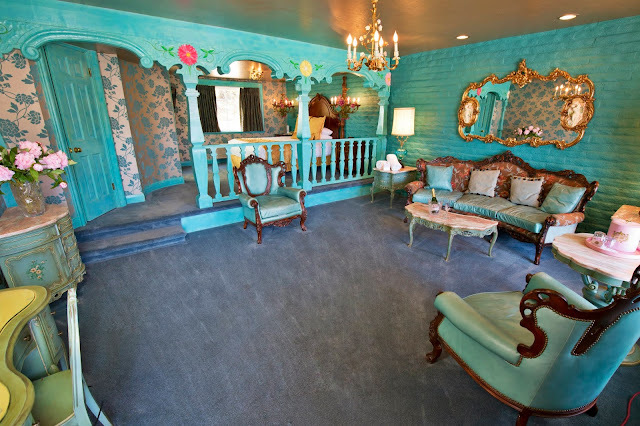 Mrs. Madonna is retired now, but is still influential in the seasonal decoration of the restaurants. 4. Is Madonna (the pop star) affiliated with Madonna Inn? 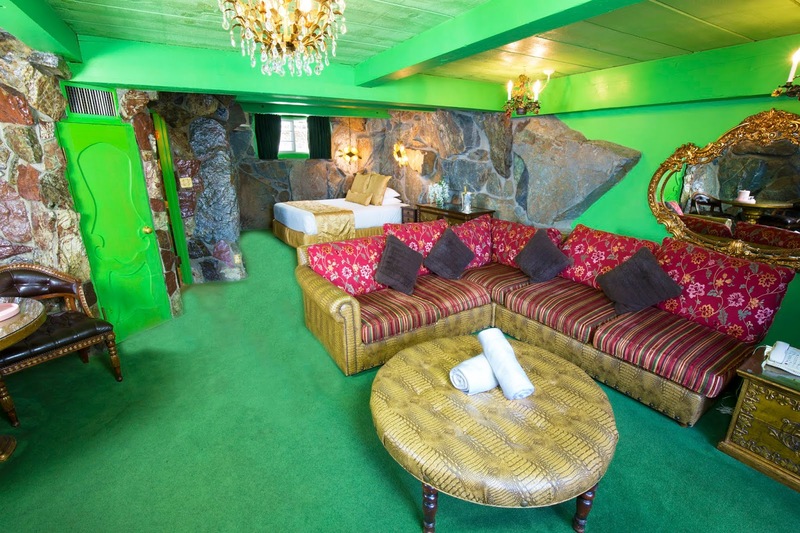 Although it's easy to see how one would think Madonna Louise Ciccone - The Queen of Pop - has some connection to the pink wonderland that is Madonna Inn, the two are unrelated and have (to our knowledge) never crossed paths. 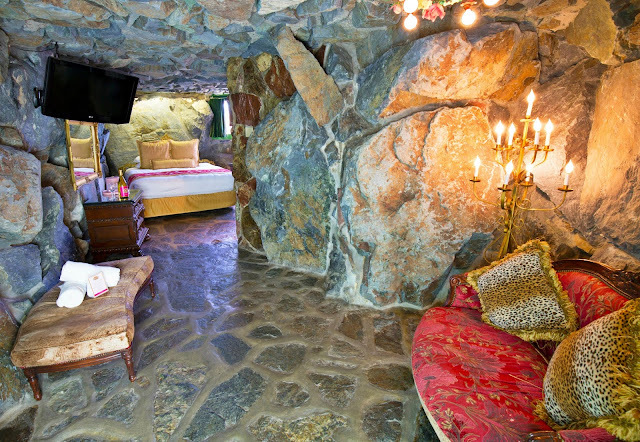 5.Is the Madonna Inn haunted? Probably not. 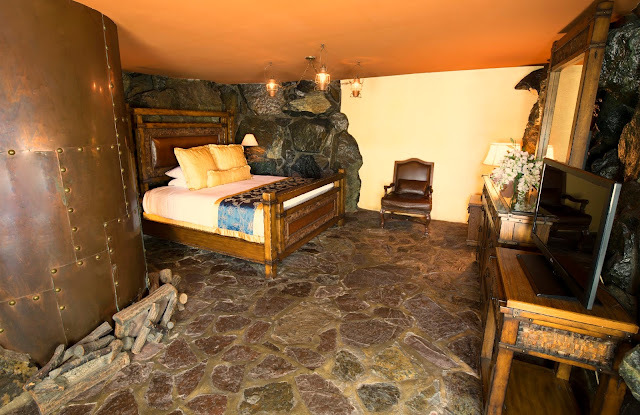 While some guests have reported experiencing a "playful" spirit visiting them while at the Inn, the Madonna family and other long-time employees have never encountered any ghosts, spirits, or other entities in their many years of living and working at the Inn since it's inception. One of the quickest ways I've found to get into the holiday spirit is to seek warmth: a cozy hug; hot apple cider; deep, rich red hues; and earthy, warming spices. With just one bite of a hot and hearty holiday-inspired meal I begin to feel myself transported to Grandma's house - surrounded by laughter, baked goods, and the people I love. In my eyes, food is not just fuel but also a vehicle to feeling comforted, connected, and grounded. When I taste-tested our newest appetizer (after snapping some photos, of course) I was surprised to feel that same warmth and comfort from avocado toast - a dish that I wouldn't typically associate with holiday nostalgia. Somewhere within the hearty bread, creamy avocado, spicy sauce, and sweet corn kernels I felt cozy and at home. 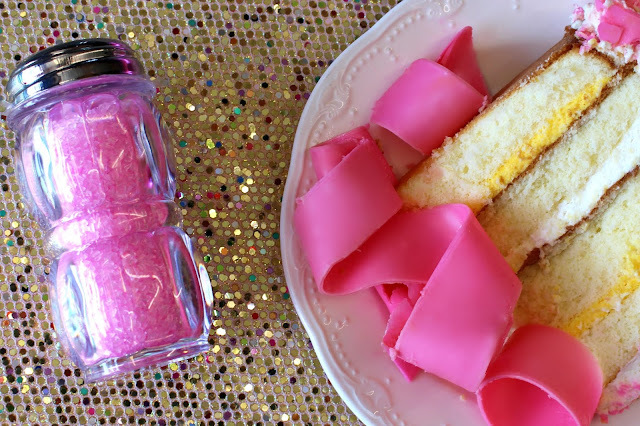 The recipe below has been sourced from Mary Sue Milliken and Susan Feniger. 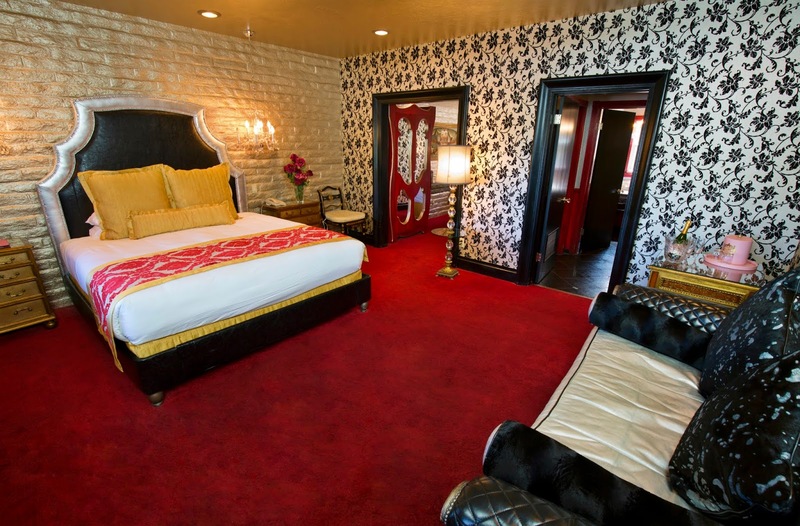 In the Madonna Inn kitchen, we substitute tomato paste for the fresh Romas, so feel free to get a little creative with your ingredients. As we come into this holiday season on the heels of one of the worst natural disasters our state has ever endured, "home" is something I cherish now more than ever. For the thousands of people that have lost the people, possessions, and place that gave them their sense of home, my heart breaks. And for the countless number of volunteers who have left the comforts of their daily routines to offer aid and service, I am deeply moved and inspired. Seeing the strength of so many in the midst of this tragedy reminds me why I am proud to be a Californian. If you're interested in contributing to the wildfire relief efforts please visit the Red Cross website and select "California Wildfires" from the drop-down menu. Much like the people that make up our beautiful state, this Romesco sauce is hearty, nurturing, and down-to-earth. And while it would be delectable on just about anything, we think it makes the perfect base for sliced avocados, crumbled Feta cheese, roasted corn, and cilantro. Prepare this sauce in bulk, store, and enjoy on days when you need a little spice, a little warmth, or just a little bit more gratitude. Here's to a very gracious holiday - wherever you may be spending it. Combine the bread and vinegar in a bowl to soak for about 20 minutes. Place almonds in a food processor and pulse until finely ground. Add vinegar-soaked bread, paprika, salt, and pepper. Pulse until pureed in food processor. While pulsing, slowly add in olive oil until a smooth sauce forms. Serve at room temperature, chilled, or warmed up. 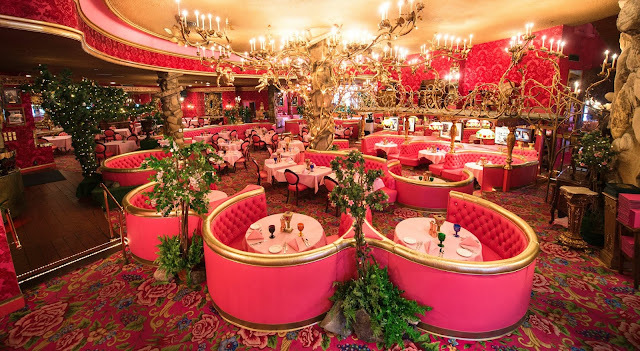 Visit https://www.madonnainn.com/ to view our full appetizer list. 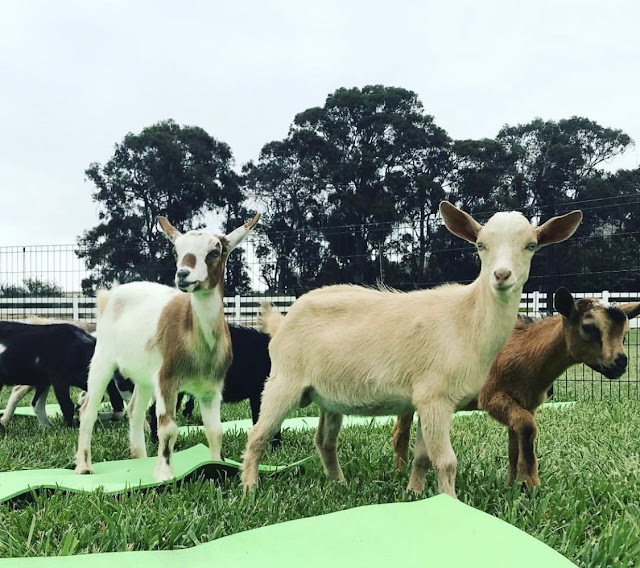 If you've ever wanted to enjoy the mind-body benefits of yoga; pet and play with adorable baby goats; or both, a California Goat Yoga experience is just what the doctor ordered! Combining the physiological benefits of a gentle yoga class with the contagious joy of cute and curious Nigerian Dwarf goats, California Goat Yoga offers attendees an inclusive and wholesome activity that all ages can enjoy. 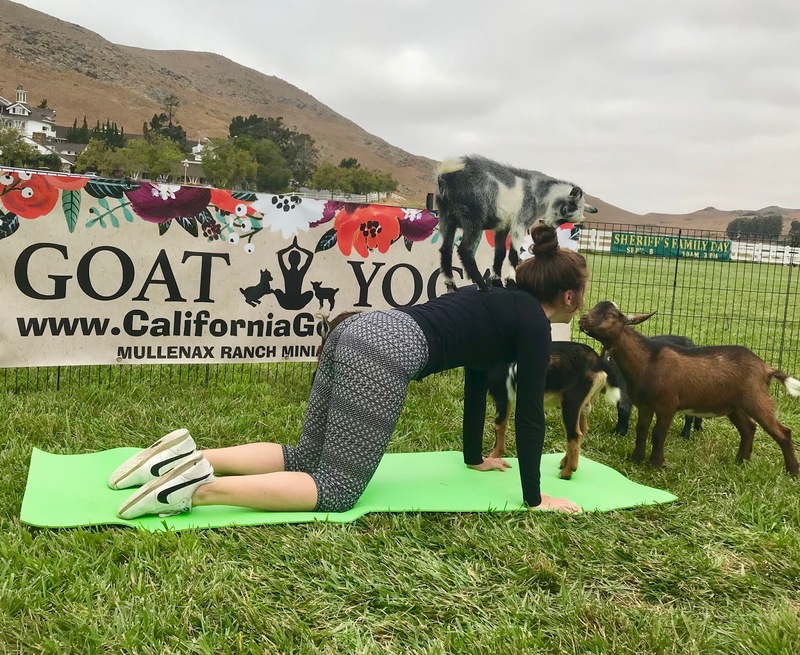 This past weekend, we welcomed our first round of California Goat Yoga classes in our Madonna Meadows. 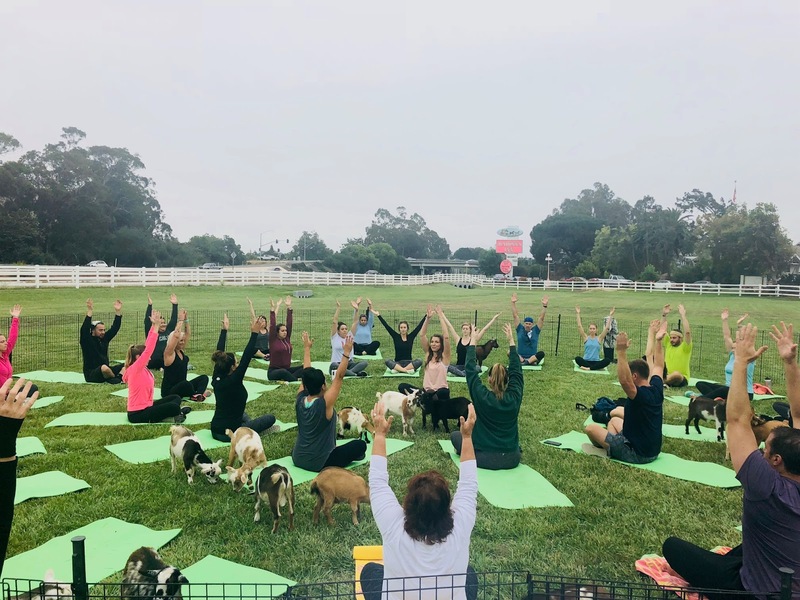 We were thrilled to see so many locals and guests turn out for the event, and were even happier to see their faces light up at the sight of their adorable furry counterparts as they frolicked, nibbled, and wandered throughout the yoga mats! Look to our Facebook and Website pages for future installments of California Goat Yoga at Madonna Inn! Meet Madonna Inn's latest additions. 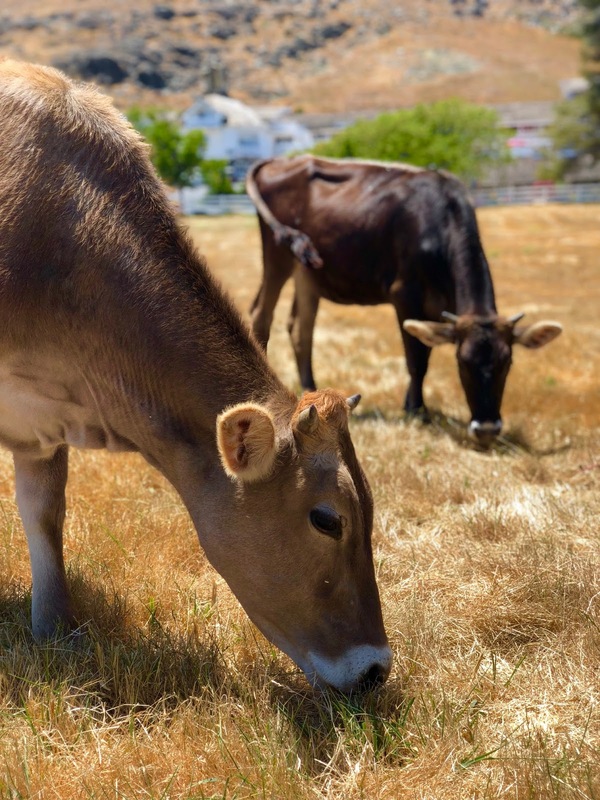 These beautiful Brown Swiss heifers can be seen grazing and lazing together in our motel field pasture from sun-up till' sundown! Arriving unexpectedly last month, these heifers were a gracious gift from Blake and Case Hirdes and Lizzy Cupples. Blake and Case live and work at their family's dairy in the Turlock, CA area, and have become good friends of our family through years of rodeo competitions and ranching. 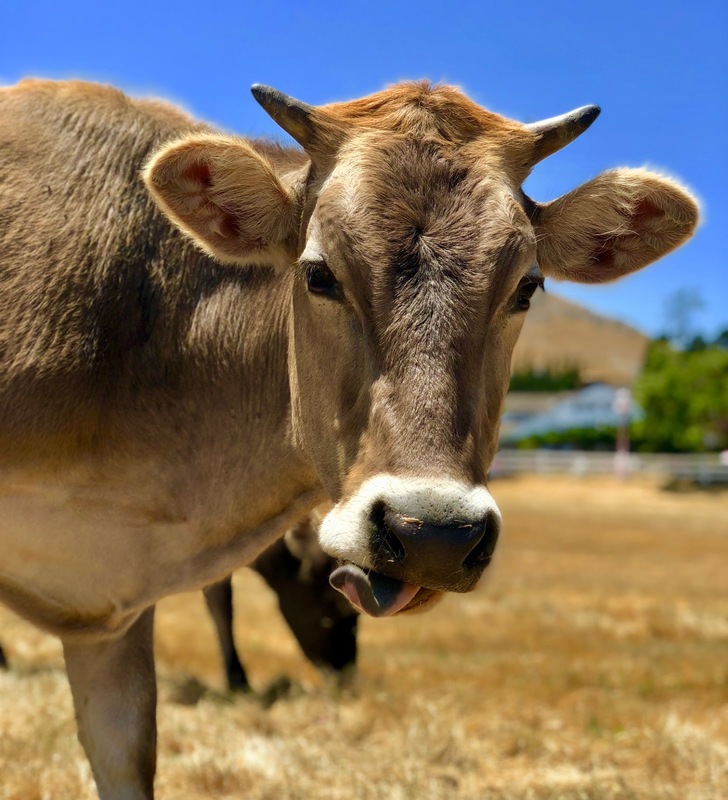 After learning of our family's affinity for Brown Swiss cows, Blake, Case, and Liz were determined to surprise us with a pair of our own. 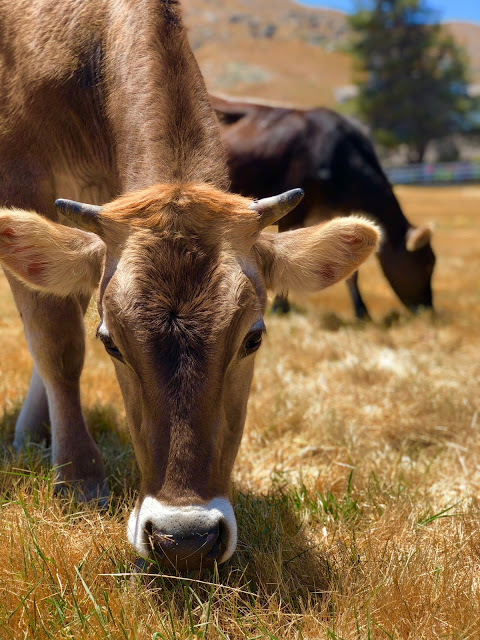 At first, they were only going to get us one heifer, but decided on two so that "they would never be lonely." 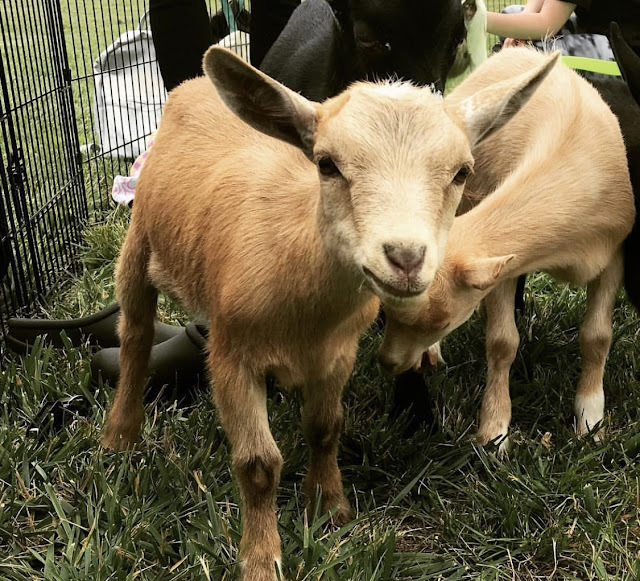 In trying to come up with a name for these babes (without concensus), we decided to reach out to our followers for some ideas on names. Leave us your best handles for this dynamic duo in the comments; we will announce our favorite names in two weeks via Facebook! 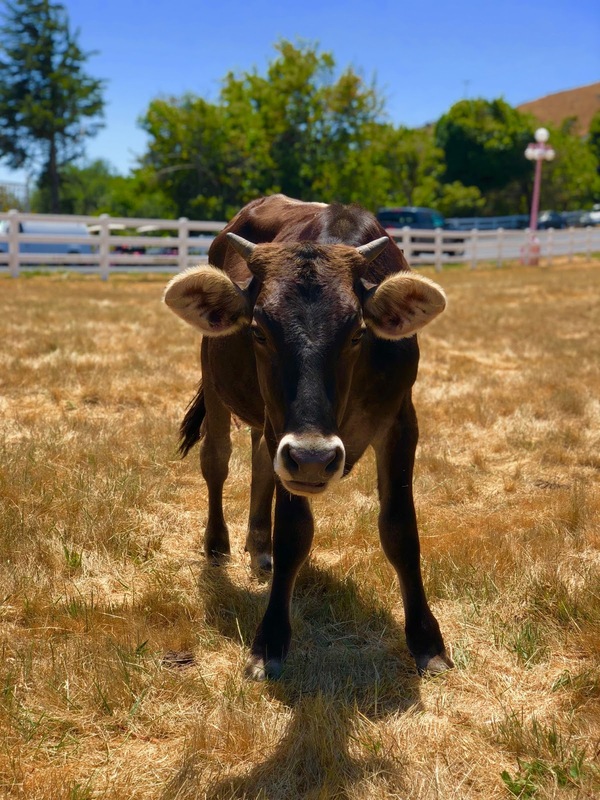 Happy heifers live at Madonna Inn! As an avid hiker, I often spend so much time on our local mountain trails that I forget about the other lovely walking and biking paths that SLO has to offer, including the Bob Jones Trail of Avila Beach. Also known as the "City to the Sea Trail," this 3-mile-long paved path begins just off the 101 freeway on Ontario Road and ends in downtown Avila Beach. 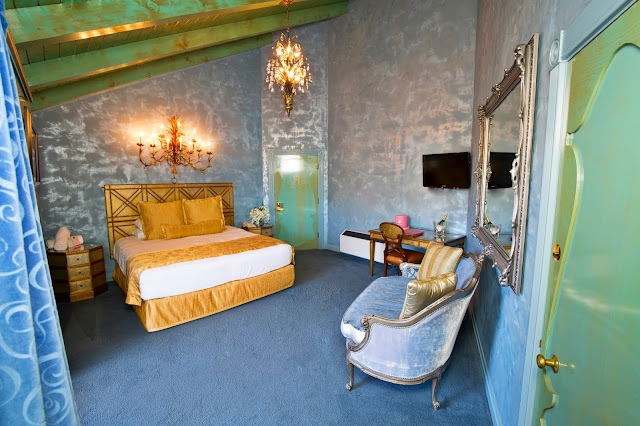 Along the way, walkers, runners, bikers, and rollerbladers, alike can enjoy a leisurely stroll past scenic wooded areas, a wandering creek, and the Avila Beach Golf Course - all while a hint of the ocean wafts gently in the breeze. With the Silver Horse wineries located at the parking lot to the trail, a dog and stroller-friendly walkway, and small park placed midway on the trail, this jaunt is one the whole family can enjoy. 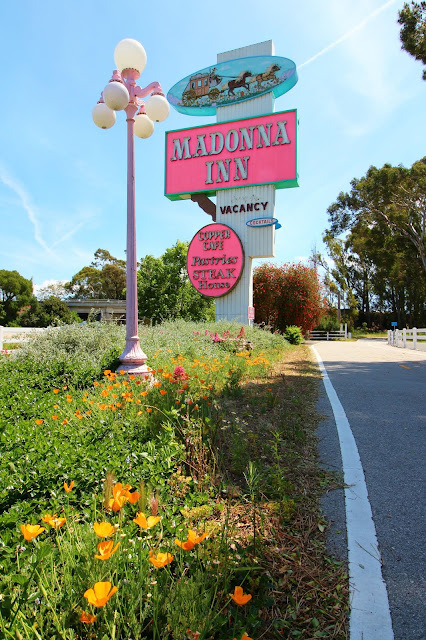 As you may have seen on a recent drive by the Madonna Inn, our Tesla charging station is complete! Now, hotel guests and visitors passing through San Luis Obispo can charge their Tesla automobiles at our charging station free of charge. The completed Tesla installation comprises the first half of our electric vehicle charging station build-out. A separate bank of non-Tesla EV chargers is projected to be finished within the next year - catering to the many patrons who want to refuel their electric vehicles whilst enjoying a slice of cake or a glass of Madonna Inn wine! 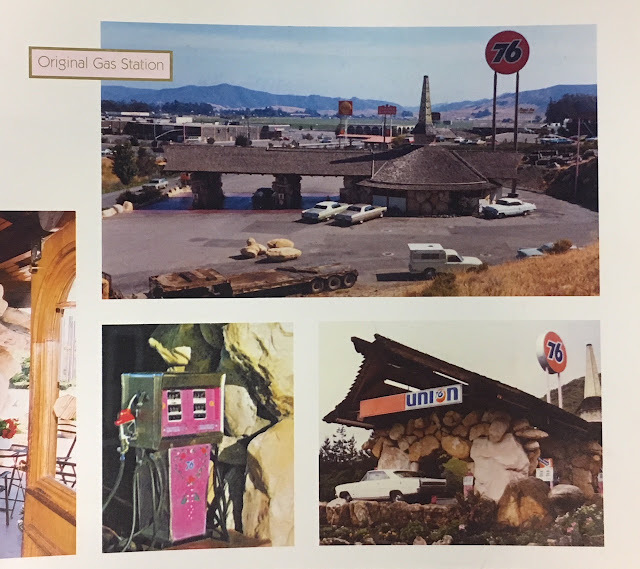 These EV chargers give new life to an area of our property that, while once a bustling Union 76 gas station, has recently not been much more than an auxiliary parking lot. Who would have guessed that the "old" fuel station would come into its own once again in the new millennium?